This photo has been taken from our trip to the UK last year. 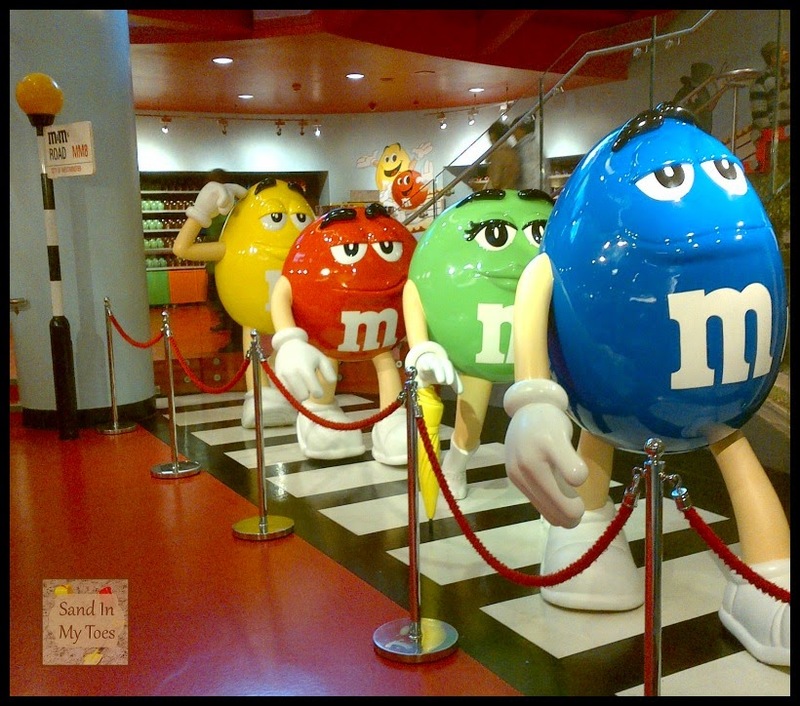 We visited M&M's World in Leicester Square which is just amazing! Can you imagine four levels of chocolates and merchandise in varying shades of bright colours? Even if you are not a fan of the candy (like me, I prefer the naturally coloured Smarties! ), you'll be in awe of this store. In fact, it is listed as a tourist attraction on TripAdvisor, so it was on my list of things to see. That trip was actually our first real vacation after Little Dude was born, and we managed to see quite a few things like Stonehenge and Edinburgh, despite travelling with a toddler. Wow! A kid's paradise, for sure!! Looks great fun - but I'm with you that I prefer the naturally coloured smarties. My kids loved M&M world but I wasn't so keen. I guess I'm just not the target audience! No samples, Mike! But lots on sale. Luckily, Little Dude wasn't interested in eating candy at that age, but he loved the colours.